Aa Ab Laut Chalen is a 1999 Indian Bollywood drama,family film released on Jan 22, 1999. 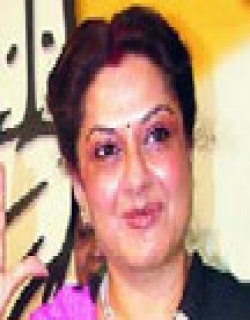 The film is directed by Rishi Kapoor, produced by Rishi Kapoor. 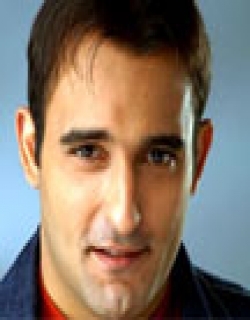 Rohan Khanna (played by Akshaye Khanna) leaves India and comes to America for a better life and luxurious living. He meets with Pooja Walia and shares his rooms with Chaurasia, Iqbal, and Sardar (Jaspal Bhatti and Satish Kaushik, and Kader Khan). He comes to know that there are thousands of people who had come from India years ago, but are still striving for a living. He does not want to be one of them; he wants to get rich very quickly and easily. He meets a rich and attractive lady known as Loveleen (played by Suman Ranganathan), and she also takes a passion in him. Rohan is not aware that Pooja Walia is in love with him. When Loveleen disrespects him finally, Rohan comes to welcome his middle­class roommates and Pooja. Pooja even gets him a job with her uncle known as Balraj Khanna. Balraj Khanna would like to get his boy wed to Pooja, but after he meets with Rohan he starts to get different ideas and concepts. Check out this page for more updates on Aa Ab Laut Chalen. This page provides latest and updated information about Aa Ab Laut Chalen (1999) movie which released on Jan 22, 1999. Aa Ab Laut Chalen (1999) is directed by , produced by , starring .We have also provided 0 trailers and videos, 4 photos, 45 user reviews, and 0 critic reviews.Aa Ab Laut Chalen (1999) has received 2.6 rating from user reviews.The overall rating of Aa Ab Laut Chalen (1999) is 52 and movie is 2.6.You can review, like, dislike this movie and also can add to favorites. You can also find information on showtimes, CDs, DVDs, online rental, online free watching.